half eaten in the plastic grass. We said it wouldn’t be easy. We said we would be taking up the cross. all ignorant of our peril. “Well, what did you expect?” he said. We have an uncanny way of compartmentalizing our life in God. For some of us the things we say to God in church, the prayers, and songs, appear to have little connection to the life we lead outside church. How many times have we prayed “thy kingdom come, thy will be done on earth as it is in heaven” and then gone home and worried all week about the state of the economy, our nation, or our families? Several people lately confided to me how afraid they are about the world. These are deeply faithful people, yet they are afraid. As for me, I, too, fretted most of last week – those useless “what should I do next” worries. The one we follow has explicitly told us not to fear. Yet we try to justify our fear by hunting around for the cause of our discomfort and call it whatever is fashionable – midlife crisis, the government, the economy. In doing that we subvert the process of growth and maturity God has initiated within us, usually at our request. Think about it. What sort of things have you been asking of God lately? The sacred action of transformation within our souls as individuals and nations will create turmoil, uncertainty, painful loss, and suffering. This is the cross. At the same time it is purposeful, hopeful, and to those who remain grounded in faith will, absolutely, result in new life and greater freedom to love and serve one another. For me the bottom line is this, where do I get my news? What is my foundation, the central fact and eternal truth of my life? CNN, FOX News, my wimpy ego, or the Risen One calling me to trust in the hidden life and power of God around every bend in the road? 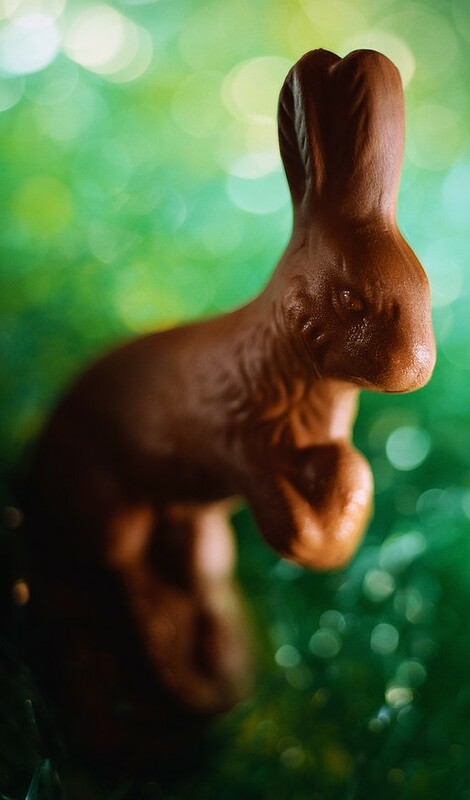 Now – go eat the rest of that chocolate bunny and have a day full of wonders! This entry was posted in Christianity, Easter, faith, Spiritual Formation and tagged cross, dying to self, faith vs fear. Bookmark the permalink. When our hearts lean toward God even bad times are actually good ones. Sounds contradictory–but by human logic–and not the Holy Spirit.